Helping engineers, geologists, and scientists protect and restore the environment. We make customized technical maps and drawings for environmental planning, remediation, construction, and regulatory compliance. Simplify the drafting and map portion of your work. Extend your in-house team by incorporating ours. You collect the data and we make it presentable. Your work is our number one priority. Let’s get started today! You can count on Pointmap for sensible CAD & GIS solutions, quality work, and timely turnaround. We are dedicated to working efficiently with you just as if we were down the hall. You will have our full attention. 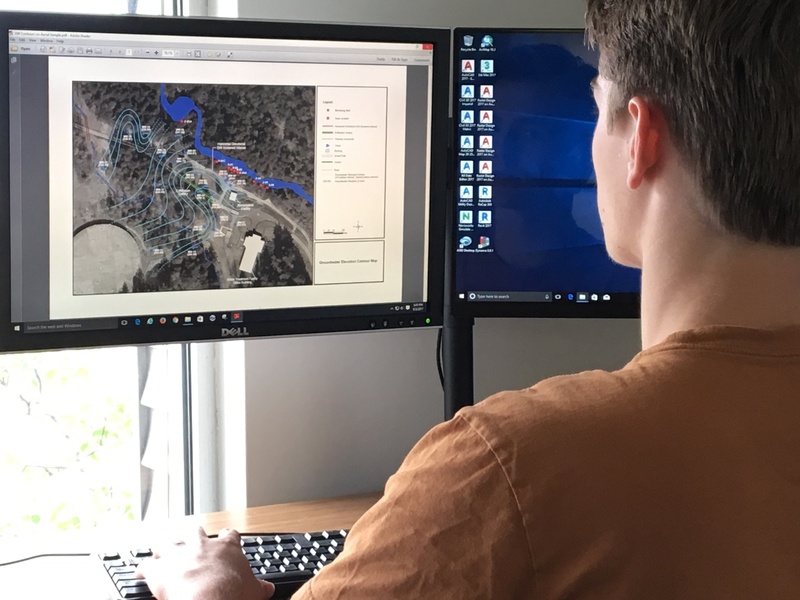 Pointmap can support your drafting and mapping needs as your sole CAD and GIS service department or by assisting your in-house staff as needed. We are your local CAD and GIS resource located in the United States. Since 1993, we have had the honor of working with a variety of clients on a broad range of projects. Our clients appreciate our skill, knowledge, and dedication, that’s why greater than 90% of our business is repeat and referral. Pointmap. Because a picture is worth a thousand words. Frequently, clients say our work is a key component in the success of their project. See samples of our work in the Map Gallery. public and private corporations, contractors, and developers. All our work is completed by our staff, here in the USA. My work requires a high degree of accuracy and often has extreme timelines. I am always impressed with the quality and rapid turnaround on difficult assignments. Pointmap always delivers. We really appreciate the partnership we have with Pointmap. I can honestly say that I am never disappointed. Thanks for your continued dedication to fast, professional, thoughtful figures. You make us look good!